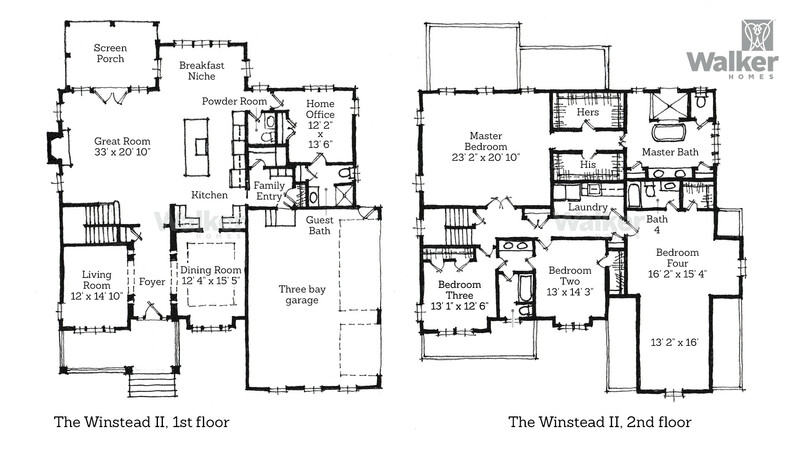 The Winstead II offers a sense of openness and space. 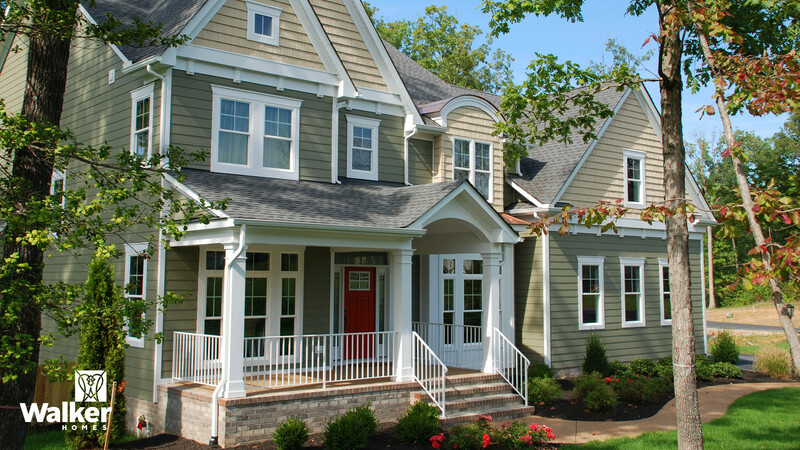 It’s architectural plan makes it a good framework for the American Craftsman style. Details such as built-in cabinetry, wainscoting, hardwood and ceramic flooring, and specialty ceiling treatments make it distinctive yet comfortable. The floor plan features a large, open, functional layout with a deep front porch, a screened back porch, and a lower level bedroom. This version of the exterior elevation has many American Craftsman notes—front gabled roofs, a combination of laps siding and straight shake shingles, and square columns. 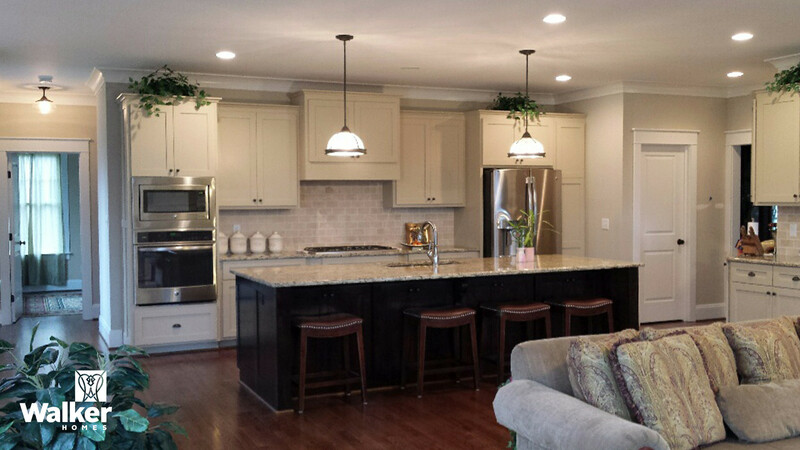 The Winstead II Kitchen opens into the Great Room and features a large island for food preparation, with seats for gathering to talk with the chef. 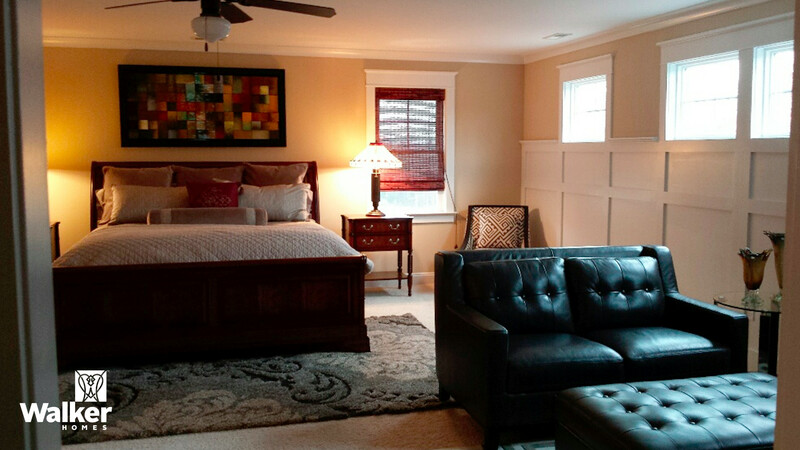 This version of Winstead II Master Bedroom features flat panel wainscoting. 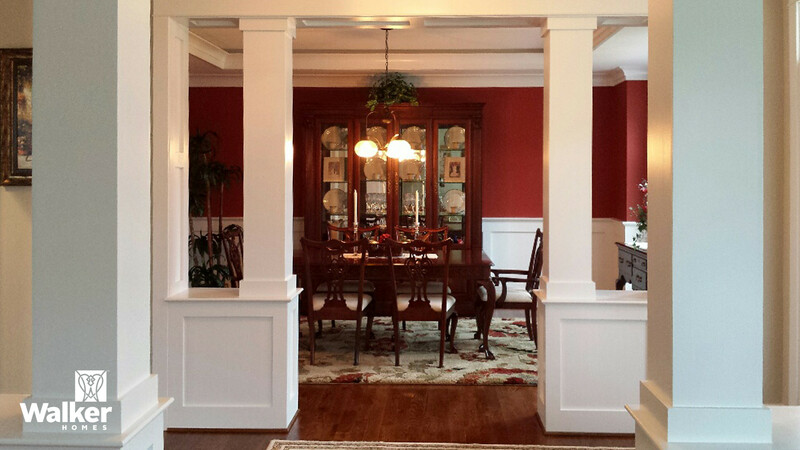 More hints of the American Craftsman style are used inside this build of the Winstead II–square columns, wainscoting, and a tray ceiling. 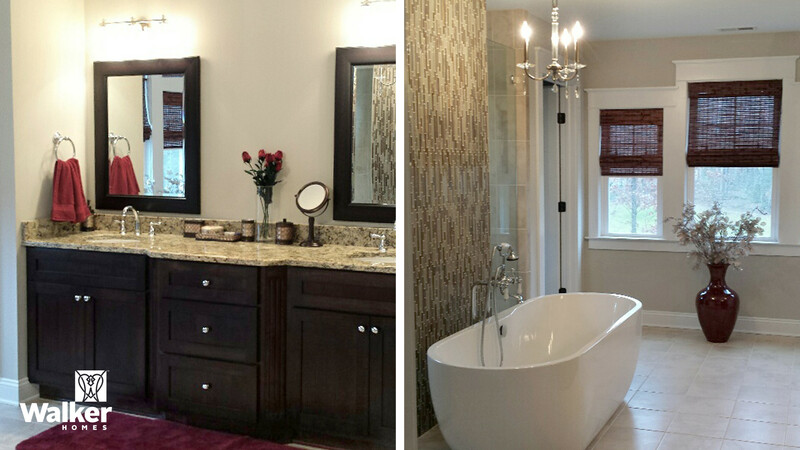 (Left) The Master Bath features an inset double vanity, a large soaking tub against a waterfall of tile, and a luxurious walk in shower. 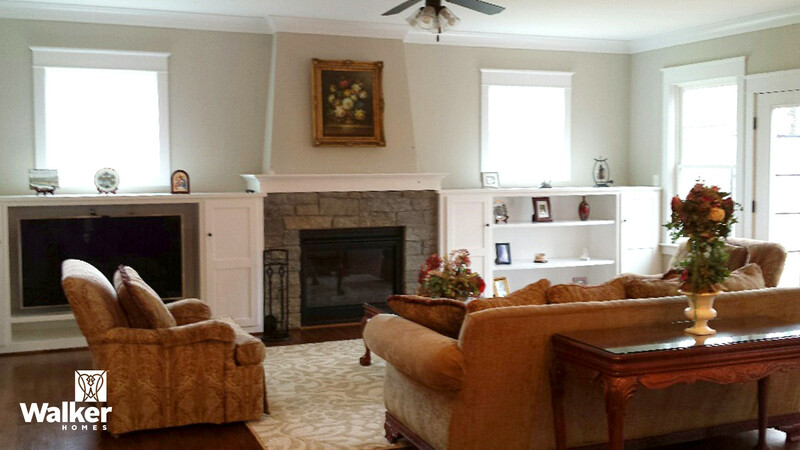 The Living Room of the Winstead II features a cozy stone fireplace, a canted chimney wall, and handsome built in cabinets and bookshelves.